Here’s a splendid article from Not Worth That blog yesterday. 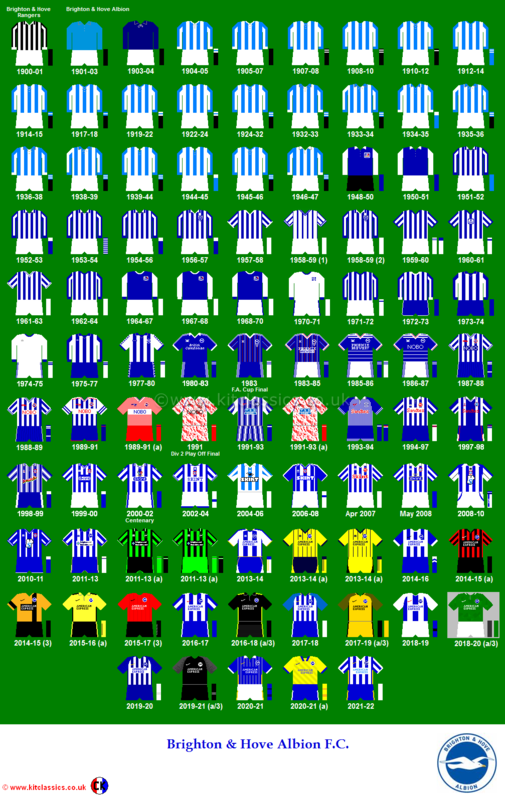 My Albion all-time 11? I’d love to hear your own team. Please add them on Twitter using #BHAFCXI or add a comment below. 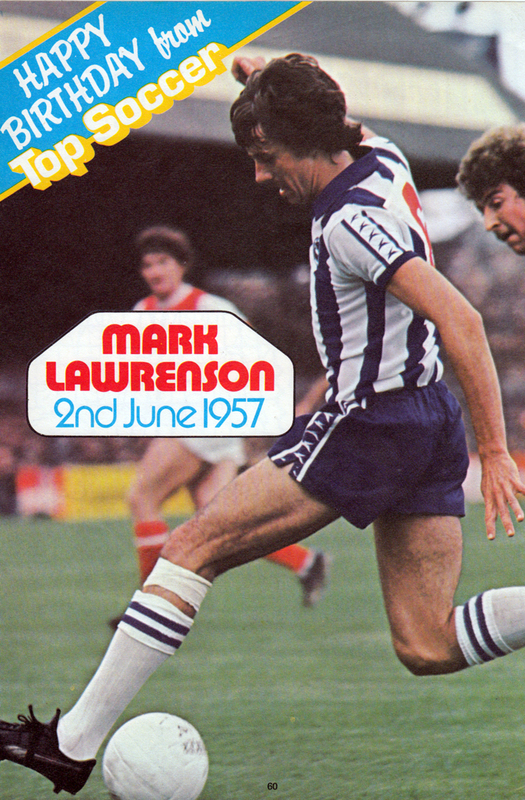 Total Football magazine launched in September 1995 as a laddish competitor to FourFourTwo. 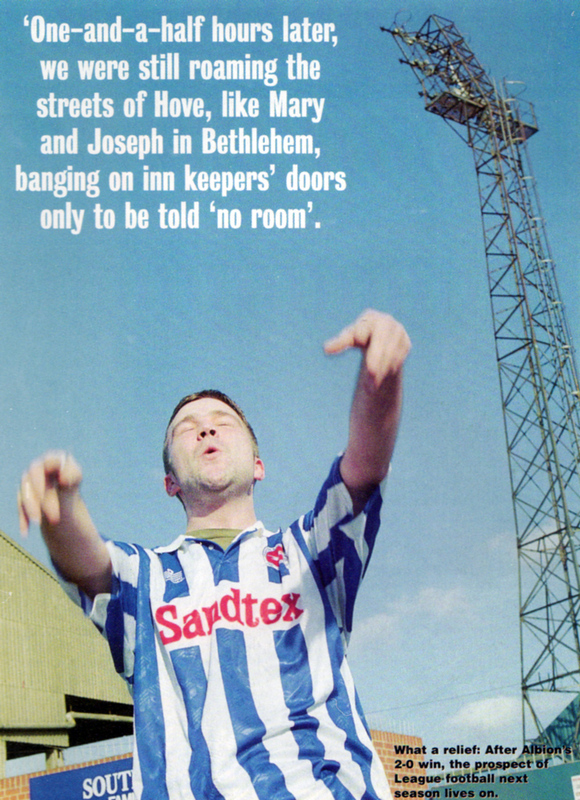 In May 1997, in its ‘away days’ feature, Charlie Hirst revisited the doomed Goldstone Ground, where he had seen his first ever match in 1982. The classy seaside town of Brighton has been hit by deepening despair over the running of its football club. It’s well documented, but they’ve been dealt football’s roughest hand and there’s still a chance that The Seagulls might go out of business due to crass mismanagement, lack of interest from the local council and an apparent disregard by the FA for one of its members’ fortunes. Total Football sped down to the crisis club with a couple of exiled Seagulls fans to join over 9,000 other supporters – the biggest gate in Divisions Two and Three – to lend its support to Brighton’s cause. And, of course, to sample the town’s hospitality. 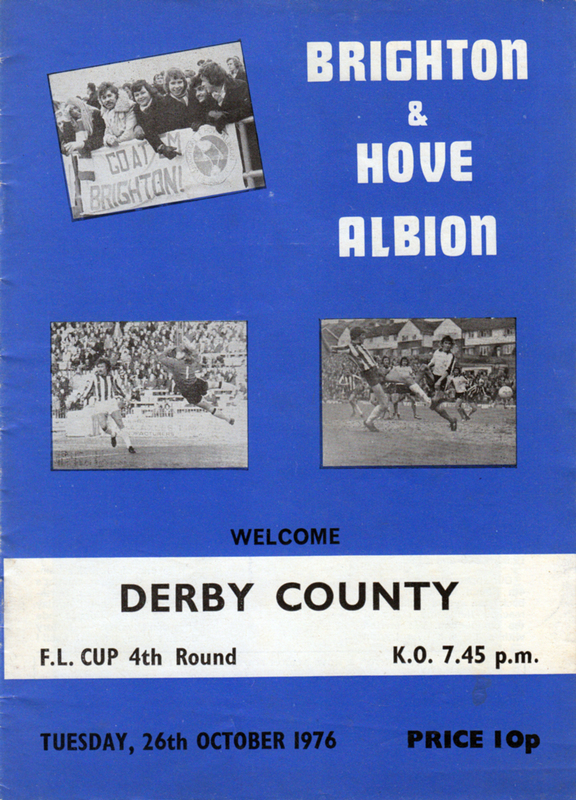 The first game I saw as a kid was at the Goldstone Ground, Forest beat Brighton 1-0 in the old First Division. Dizzy days indeed. So it was with fond memories that I journeyed back to the South Coast. 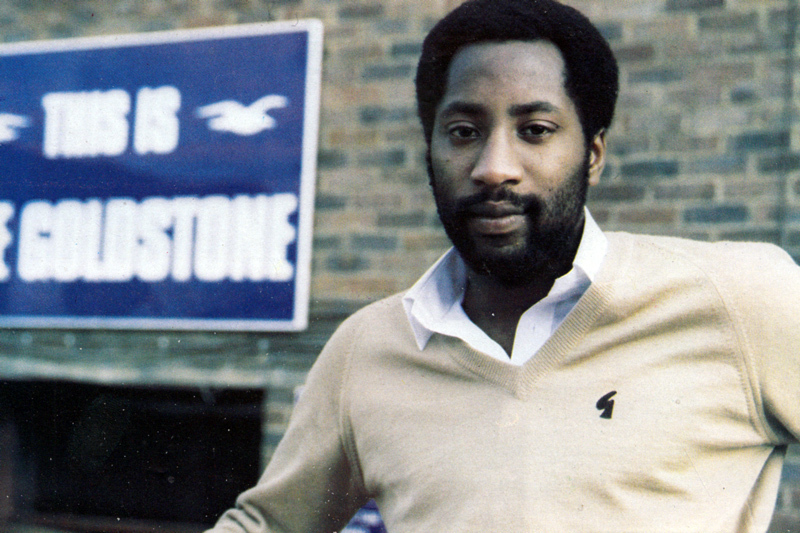 With just three games left at the condemned Goldstone Ground, passions were running high at the match with Cardiff. We arrived early, looking to mix in with a pint or two outside the ground. The obvious stop-off point was the Hove Park Tavern, on the corner of the Old Shoreham Road. It was heaving with Brighton fans and before long we were enjoying a bit of banter with the locals. Several jars later and the atmosphere was warming up. 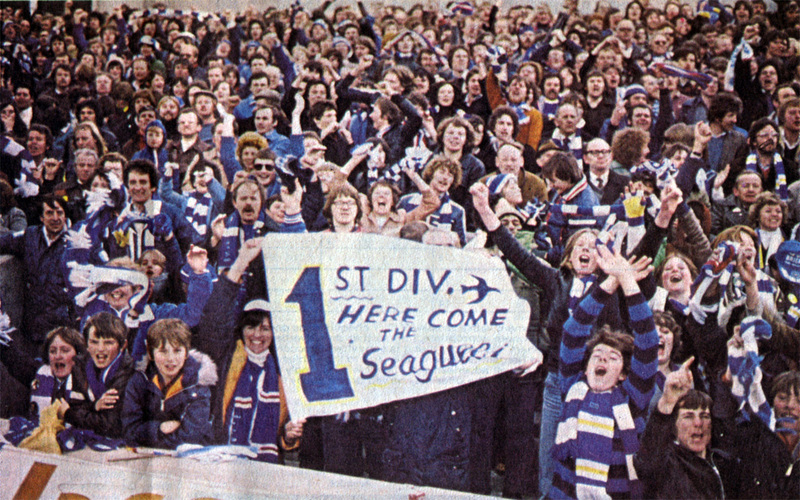 The cry of ‘Give us an S’ went up and the letters to ‘Seagulls’ were bellowed out. The Cardiff corner responded, but seemed to lose their way by the time they reached ‘D’. Hopefully more to do with alcohol consumption than falling educational standards in Wales. As 3pm approached, we downed our drinks, made our way to the ground and sat among the families and gentle folk in the South Stand. The massed ranks of fans on the North terrace looked mightily impressive. Bdgriton started the game looking eager, lifted by the terrific home support. Pressing the Cardiff defence back, they won a penalty for a blatant push. “Hit in the onion bag,’ was the helpful advice of a chap sat in the row behind – who proceeded to give us a running commentary on the game. Paul McDonald duly despatched the spot-kick and Brighton led. The game then deteriorated into a midfieid scramble, but as my bruv reminded me, this was a real “battle at the bottom,” so style had to be compromised. However, in the 44th minute a well worked move down the right culminated in a neat cross which was cracked in by lan Baird – 2-0 to Brighton! The home fans managed a rousing chorus of: ‘There’s only one Stuart Storer,’ and we weren’t about to argue. Half-time brought on a feast of entertainment. The public announcer excelled himself by delivering the interval scores from around the country, went on to announce the birthdays and introduced the Under-12s penalty competition. This was the cream of Brighton’s youth production line and it wasn’t until the seventh strike that anyone hit the target. Finally the deadlock was broken by young Harry Birmingham, who neatly slotted away his spot-kick much to the approval of the North Stand. Bobby ‘The Fish’ Bish excelled himself in goal, denying many a young lad their dream of scoring at the Goldstone. The second half never really got going like the first, with the kiddies in the South Stand often out-singing their deeper-voiced comrades in the North. There were a few shaky moments in the Brighton defence, but Steve Gritt’s boys locked out the pride of South Wales, earning three valuable points in the process. The inanely grinning linesman on the nearside caused a few moments of humour to distract us from the mind-numbing action on the pitch, but with Cardiff looking utterly impotent, the points were safe. The Hove Park Tavern wasn’t open for business after the game, so we strolled off to Hove station and took the five-minute ride into Brighton. And now we made the only, but major, mistake of our trip. Eager for beer and the sights and sounds of the town, we ignored our need for a night’s lodging and set off with a carefree strut in our quest for entertainment. Fish and chips were consumed on the Palace Pier, more for their romantic value than any palatable purpose, and a rendezvous was set for the Smuggler’s pub on Ship Street, where we shot some pool and basked in Brighton’s win. It must have been 8pm before there was any mention of finding a B&B and, confident in my local knowledge, I volunteered to guide the party to safety. One-and-a-half hours later, we were still roaming the outer streets of Hove, like Mary and Joseph in Bethlehem, banging on inn keepers’ doors only to be told ‘no room’. A sprightly Cockney taxi driver (who supported Man Utd) offered to drive us to the heart of the B&B area – directly opposite to the way we had walked. By the time we found the veritable jungle of B&Bs they were all fitted with ‘No Vacancy’ signs. Left in a quandary, we slipped into The Lion to mull it over with a drink. lodgings and turn our attention back to hitting the town. Without a thought for our future well-being, we meandered into the centre. Ship Street was our destination again, although we didn’t know it at the time. We wandered through thefamous Lanes, all posh jewellery and lingerie boutiques, only to come out opposite the Black Lion. We were welcomed by the stench of cheap aftershave and a series of elbows to the ribs as we squeezed in through the crowds. This was not the sort of place where you could spill someone’s pint and get away with it. We found a corner and tried convincing ourselves that we were comfortable – but forever in the knowledge that the clock was ticking, we decided to press on in true adventurian spirit. Pushing our way back through the sweaty punters, who were dribbling on about John Hartson’s brace for the Happy Hammers against Coventry, we stumbled out into the sunny streets, wobbled back through the Lanes and arrived at the Clock Tower. A public house called The Quadrant took our fancy, so we slipped in for one. Cosy, comfortable and friendly we settled in for the evening. Purveyors of the distinctly fine Hoegarden Belgian White Beer and playing top tunes on the jukey, this was indeed a cracking pub. They finally chucked us out at about 11.45pm with instructions to head for the nearest club, The Gloucester. We boogied and bopped the night away and rounded it off with a slap-up fried concoction in the famous all-night cafe – the Market Diner – down the road and round the corner from the Royal Pavilion. Over our Mixed Grills and Veggie MegaBusters we gassed to Simon and Matt, a pair of drunken munters who reckoned they were mates with Neil Heaney and Paul Dickov. Suitably unimpressed, we headed back to sleep in the car, the Hotel Laguna, which boasted shower facilities if you opened the sunroof when it rained. It was a cracking day out, with a fantastic set of fans in a beautiful seaside town. Long live Brighton And Hove Albion. Some quick mental arithmetics suggests that Mark is 57 today! Doing an interview with Albion’s squad of young apprentices is anything but dull! With their youth, humour and obvious love of life, they are a very likeable team. Even after a tough training session, they are eager to talk about life at their new home… the Goldstone. Apprentices have two years to prove themselves and managers always say that the most heartbreaking part of their job is having to tell a youngster that he simply does not have the skill to make the grade. But Albion’s AP take the rules of the game with a cheery acceptance. Professional football is an exciting career, but there is very little glamour in an apprentice’s everyday routine. This involves arriving at the ground at nine in the morning and cleaning the boots, and preparing for training. The lads are coached by George Aitken, who has helped Chris Cattlin to develop the strength of this club in many areas of youth football. After the training, the AP’s return to the Goldstone, where they clean the boots and footballs, and do any necessary work around the dressing room area, before leaving at approximately 1.30pm. On home match days, all the boys come to the game and four of them work to hep the backroom team in any way they can. 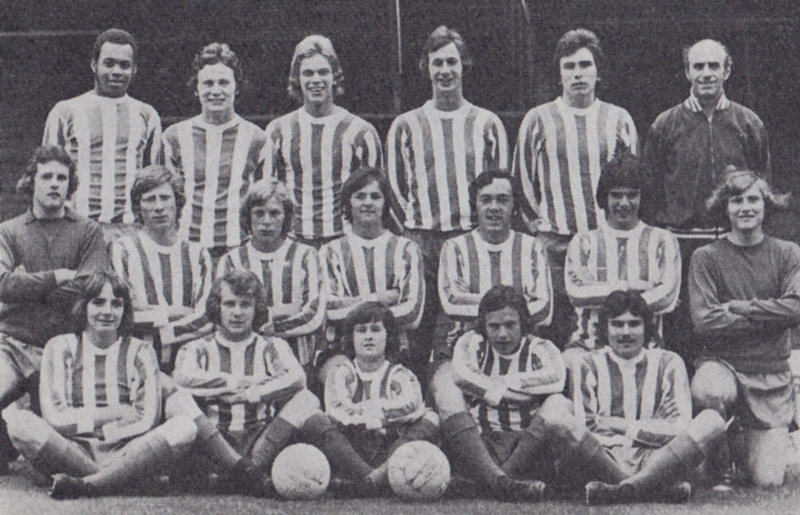 The youngsters play in the South East Counties League, where they are guided by John Shepherd and Mick Fogden. The next step is a place in the Reserves and then comes the big step into first team football. Albion have nine apprentices and although they will not all make the grade with the club, it is obvious that they are thoroughly enjoying their time with the Seagulls. All the lads pay tribute to the help their families have given them in getting to this point, As for the future, our best wishes go with them all. David Gipp is 16 and comes from London He plays upfront and likes to relax by watching television. David is a fan ofthe soaps with Dallas and EastEnders rating a special mention. Paul Dobinson is another Londoner. He joined the club a year ago and likes to play in midfield, Like most of the APs, Paul enjoys listening to soul music by artists like Luther Vandross. Full-back Terry Spinks is another soul fan. Terry 17 is also half-way through his apprenticeship. Danny Carter and Phil Lovell are the ether two Londoners. Danny 16, enjoys eating out and Phil, 17, is known as The Pie Man because he’s so fond of steak and kidney pie! AI the London lads have been found digs locally by the club and they say they are very happy with their respective host families. Barry Smith, 17, Franco Massimo, 17, and Daren Newman, 17, are all from Sussex. Barry lives in Brighton and in the summer is a very useful all-rounder for Portslade Cricket Club. Daren hails from Newhaven and he loves heavy metal music, an interest he shares with his brother Paul. Franco Massimo is a Sussex sprint champion and he says his ambition is to make his hometown of Horsham famous! Unfortunately, when I met the AP’s, Trevor Wood, 17, from Jersey, was out with a broken arm. But when the talented young ‘keeper is fit and well, he enjoys a round of golf. Quieter moments are spent listening to his collection of Dire Straits albums. So that’s the Albion’s apprentice team. Let’s hope we see some of those names in our first team programme in the years to come. After a few outings as an unused substitute, Daren Newman eventually made his debut in the number 5 shirt in the 2-0 home defeat to lowly Shrewsbury later that month. Coming off the bench was Franco Massimo, another debutant. 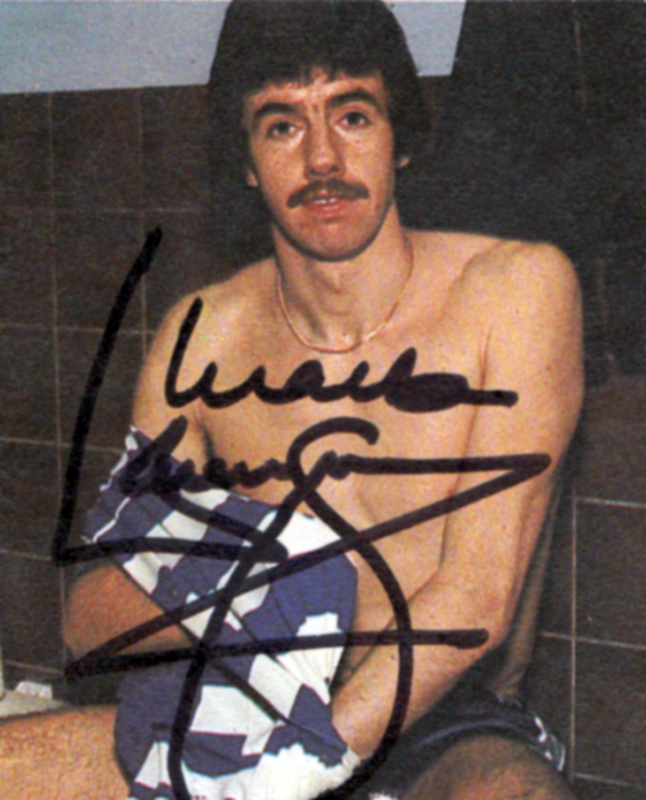 While Newman made no more Albion appearances, Massimo made another substitute appearance the following season. And that was it for his Brighton career. Perhaps the biggest hopes lay with striker David Gipp, who was finding goals easy to come by in the reserves. Surprisingly, it took until the tail end of 1986/87 for the Essex-born man to make his Seagulls debut, away at Blackburn as a sub. He almost scored with his first touch. However, after just three appearances in 1987/88 and was released in July 1989, dashing the dreams of another young Albion player. It’s the Albion’s youth party at the Freiburg Youth Tournament from July that year. 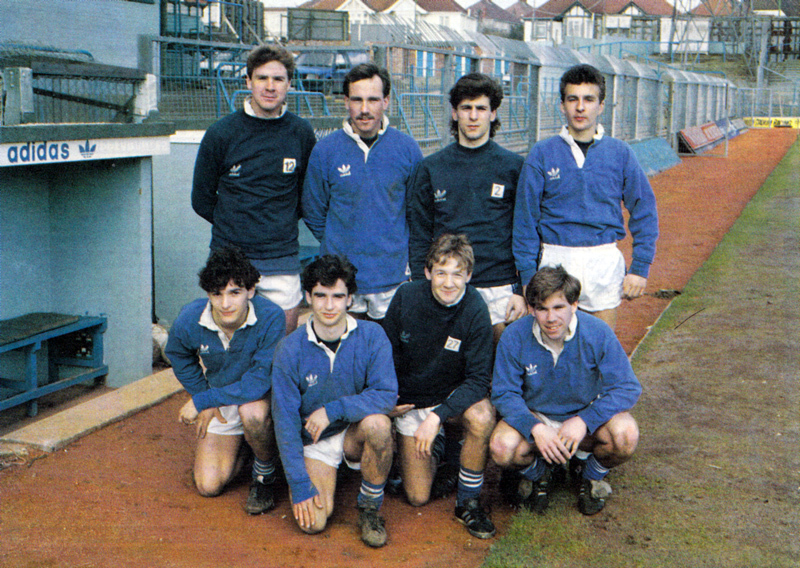 Back row: Dave Busby, Stephen Barratt, Richard Sopp, Steven Piper, Trevor Bryson, Glen Wilson (trainer). Middle row: Tommy Barden, Lee Williams, Paul Holder, Garry Wilkins, Michael Jones, Pat Hilton, Malcolm Lord. Front row: Francis Fraser, Terry Norton, Glen Geard, Tony Towner, Mick Conway. Look at how small Glen Geard is in this photo – but then he was just 13 years old at the time! With him in that front row is Francis Fraser, dad to Tommy Fraser, who was with the Seagulls from 2004 to 2009. Francis’ dad was former Richardson gang member ‘Mad’ Frankie Fraser. The first time I met Chris Ramsey, he was a quiet, shy apprentice at Bristol City. Since then, City have fallen on hard times, but Chris has realised the ambition he talked quietly about at that first meeting. Regular fans at the Goldstone will have enjoyed seeing the progress Chris has made this season. His confidence has grown. He looks to have all the makings of a top class full-back. He has pace and agility, but can tackle like a demon too. Beneath that shy smile there is a sharp competitor. Not that Chris is often shy at the Goldstone. When he does look serious, a joke from friends like Steve Foster, Michael Robinson or Andy Ritchie will soon bring a huge grin to his face. Chris is a popular member of the first team squad. ‘I think the Albion is a happy club,’ he says. ‘I like Brighton, but I still live at home with my family in Islington, London. There are five girls and two boys in all. At the moment, five of us are still living at home with mum.’ Needless to say, there’s never a dull moment! ‘I’m always joking around at home with my younger brother, Kevin. He’s my best mate too. We spend a lot of our free time listening to music. I like Motown and reggae. We get records on import. I could tell you the names of reggae bands, but to be honest, I don’t think you would know any of them!’ Has Chris ever thought of joining a group himself? One of his other interests is watching movies from the Golden Age of Hollywood. ‘I like the old musicals with stars like Gene Kelly, Fred Astair and Ginger Rogers, but my favourite actor is James Cagney. He made some great films.’ Chris is one of many talented black players making their name in the game. Does he think racial prejudice still exists in football? Chris Ramsey has had his share of hard times, but like any good Hollywood movie, his story looks like having a very happy ending… here at the Goldstone. 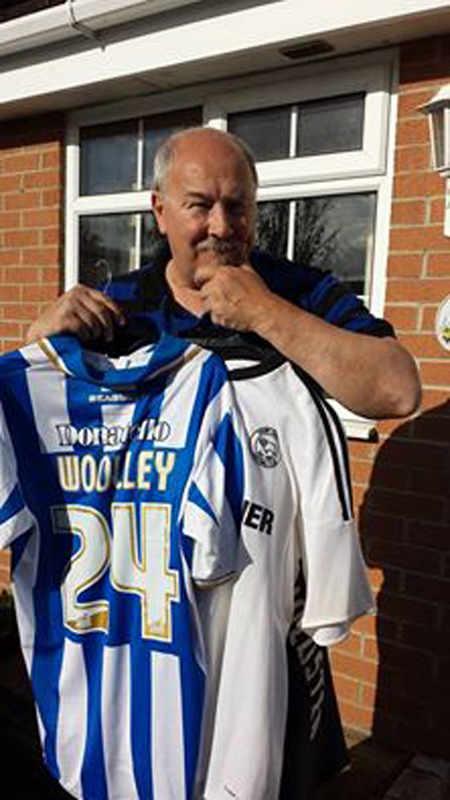 So says Vaughan Woolley, a reserve centre-back on Brighton & Hove Albion’s books between 1975 and 1978. 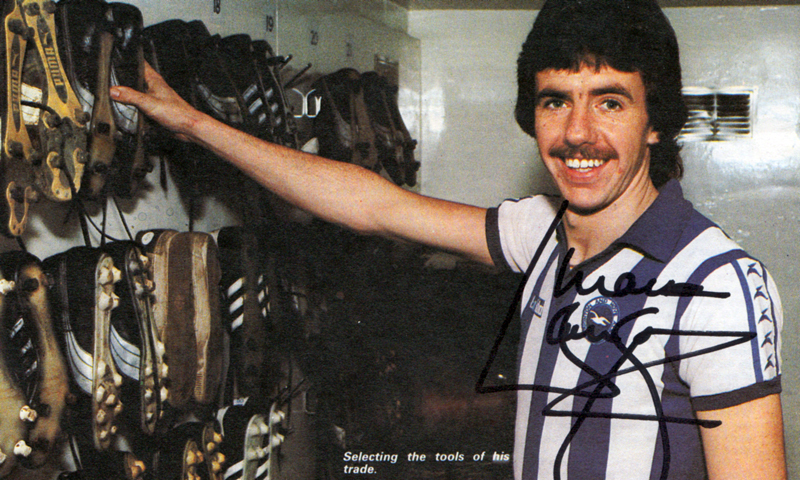 He has Derby County partly to thank for his most unforgettable experience in Albion colours. In the League Cup in 1976/77, Alan Mullery’s high-flying Brighton first team had knocked out Ipswich Town and West Bromwich Albion, both formidable First Division sides at the time. In the fourth round in October 1976, the Third Division outfit faced a star-studded Rams team featuring seven internationals including Roy McFarland, Colin Todd, Charlie George and Leighton James. With demand for cup tickets running high, the Albion’s marketing team came up with the novel idea of making them available at the reserve match with Charlton that month. In all, 17,554 watched as Brighton reserves ran out 3-0 victors against the Addicks’ reserves. Not that left midfield was his normal position: “I came to Brighton as a centre-back. 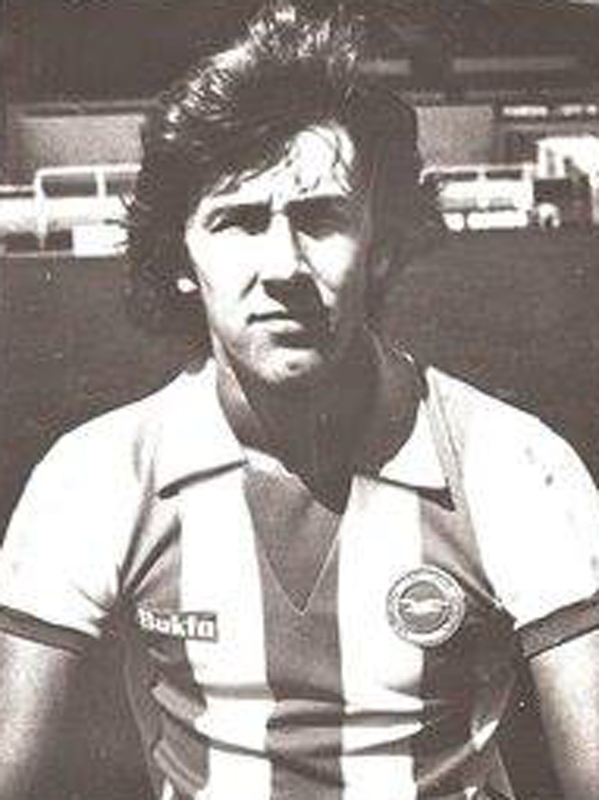 I remember Peter Taylor who was the manager of Albion at the time told me that he wanted to build the future Brighton team around me and Robin Madden, another reserve team player from the Worthing area. It didn’t work out unfortunately for either of us. You must have encountered the subsequently more well-known Ward, Peter (no relation to Steve! ), in the reserves, just before he broke in the first team? Gully has been brought to life at the Albion by Mike Cuerden, the newly-appointed Press and Public Relations Manager. Last year the character was used for the first time as a cartoon character in leaflets produced by Albion’s Lifeline Club. He added that it was important that Gully should become a warm and friendly character which would enable the fans to identify with the image which “we at the Albion want to portray”. “We are a friendly club who care very much for our fans, and if this enables us to get over the message all the better,” explained Mike. According to the PR Manager, Gully also has an important role to play in ‘warming up’ the crowd before the kickoff. The appearance of Gully by the ‘dug-out’ heralds the arrival of the teams, encouraging enthusiastic support. The secret is out! 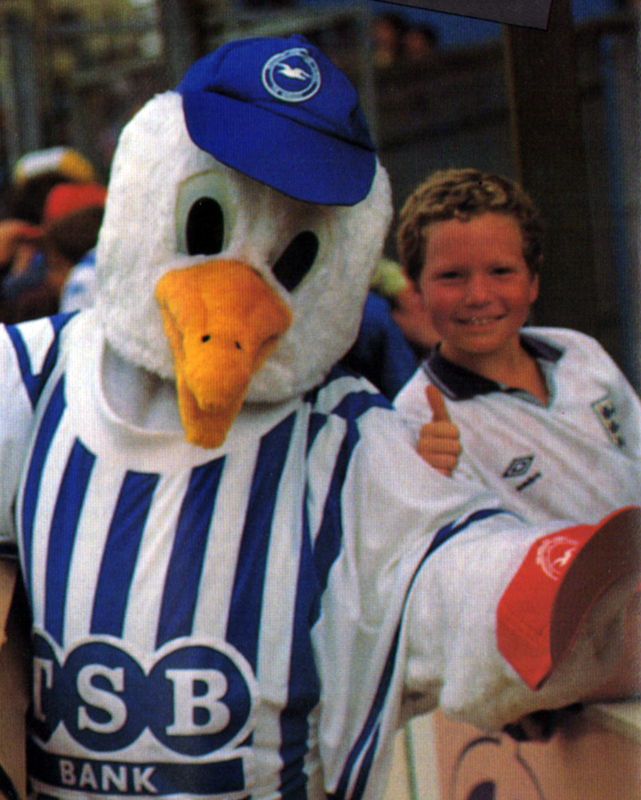 Gully, the Albion’s friendly, feathery mascot, is pretty 24-year-old Alison Norris. The cheeky Brighton character introduced at the Goldstone Ground at the beginning of the season has become the darling of the fans and an established part of the soccer scene. Performing different roles is no new activity for Littlehampton-born Alison, who went from her local comprehensive to the Cardiff Drama School six years ago. “I really enjoy playing the part of Gully and I look forward to the home matches so that I can don the outfit and go out and about around the pitch,” said the slightly-built actress. Alison, who currently manages a local restaurant, explained that she has appeared in plays ranging from dramas to comedies. 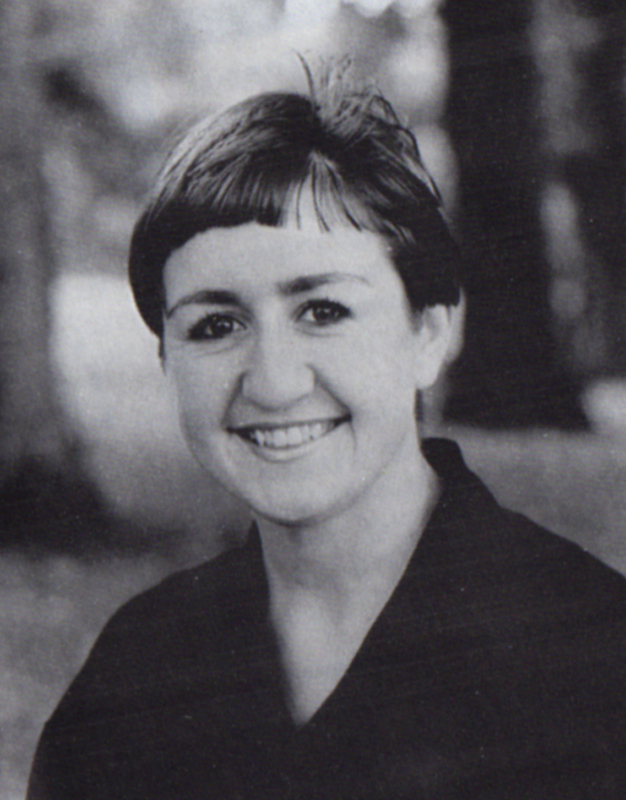 She has already written six shows that have been performed for children and young adults. It takes Alison just five minutes to don the outfit that consists of yellow tights, plastic feet, body outfit and head. * And just a quick reminder: This blog is coming to an end as a daily blog in 49 days, on 25th June 2014. The entire archive will remain online, and there will be occasional new posts but it won’t be a daily beast any more! Brighton have made it. They gained promotion to Division 1 for the first time in their history with a 3-1 win at Newcastle on Saturday and after an emotional week-end manager Alan Mullery sounded out a warning to the big-guns Albion will be facing next season, writes Alan Thatcher. 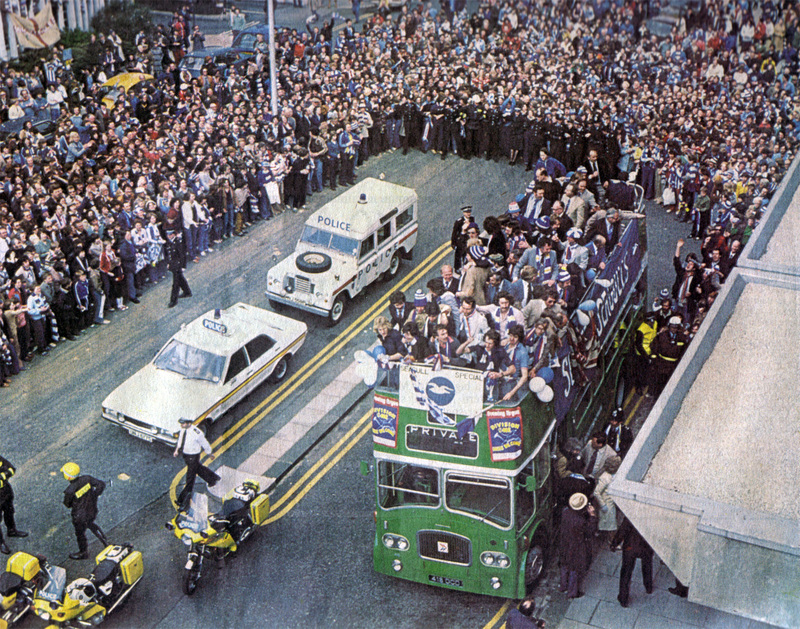 Above is the picture that sums up the players’ triumph – an open-topped bus journey through the streets of Brighton and Hove on Sunday morning. More than 100,000 delighted fans packed the roadside to cheer their heroes. Saturday’s champagne party in the North-East was followed by a delirious welcome home by crowds of Albion followers on Sunday. After the open-topped bus journey it was on to Hove Town Hall, where the Sussex stars waved from the balcony to thousands of supporters before a special reception from the mayors of the two boroughs. 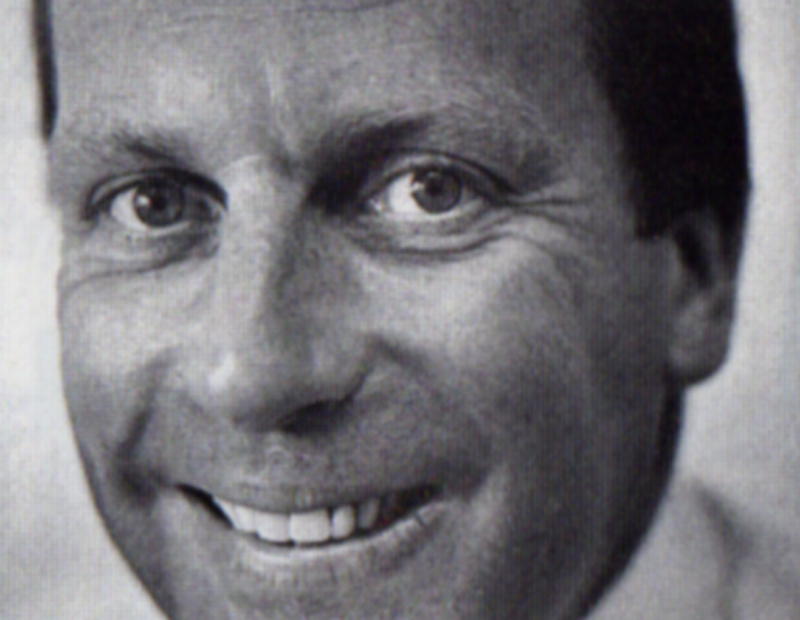 Albion’s promotion was a just reward after missing out so narrowly last year, when they were pipped by Tottenham – Mullery’s old club – on goal difference. This season, Albion made an indifferent start – but a tremendous revival got under way in December to send them rocketing into the promotion stakes. The position at the top of Division II was so tense, with five clubs fighting tooth and nail for the three promotion places, that Brighton’s destiny was not resolved until their last match – at St James’s Park. But Mr. Bamber added: “I know we have got the worst ground in Division II, and it’s worse than many in Division III. But our talks with the local councils are at an advanced stage and before long we hope to move to a new home. Goalscorers in the historic display at Newcastle were Brian Horton, Peter Ward and Gerry Ryan – all in the first half. Newcastle scored in the second half, but there was no stopping Albion’s march towards the big time. 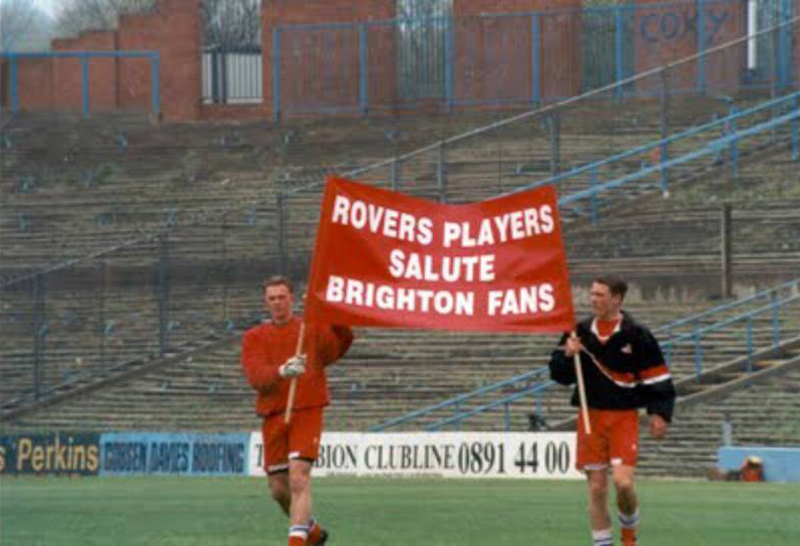 On this day in 1997, Brighton & Hove Albion played their last match at their beloved home ground. From Total Football magazine – Click the image for a close up. Were you there? 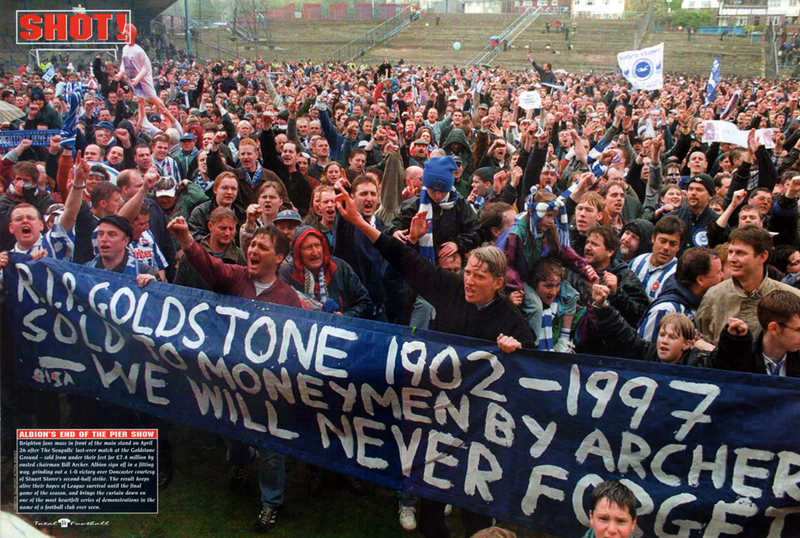 Brighton fans mass in front of the main stand on April 26 after The Seagulls’ last-ever match at the Goldstone Ground – sold from under their get for £7.4 million by ousted chairman Bill Archer. Albion sign off in a fitting way, grinding out a 1-0 victory over Doncaster courtesy of Stuart Storer’s second half strike. The result keeps alive their hopes of League survival, and brings the curtain down on one of the most heartfelt series of demonstrations in the name of a football club even seen. Doncaster from Goldstone Rapper on Vimeo.